The Lake Taupo school is located 30 minutes south of Taupo. There are many attractions to offer Brothers, Sisters and young people, as well as being an excellent place where we can share a week together around God's word and surrounded by his marvellous creation in a bush setting. The aim of the Bible School is to give attention to the study of God's word, and to engage in an encouraging atmosphere centred on God's word. As such everything else is secondary to this purpose. Bible School attendees are all expected to dress neatly and modestly, reflecting the spirit and intent of the Bible School. A tidy standard of dress for study sessions, with a more formal standard at the Memorial Meeting and Song & Praise evening. Registration for the 2019-2020 school opens in July. The Bible School has many costs, any amount even small is greatly received. Subsidising Bible School fees each year: especially the substantial cost to families to make it affordable to attend Bible School. Each year the amount of the subsidy would be based on the amount in the fund. 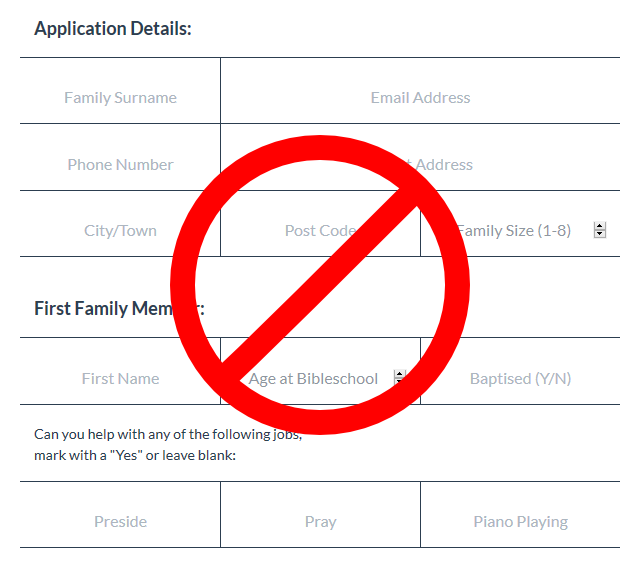 To cover additional Bible School costs not included in the fees. We are a registered charity and can supply a tax receipt for donations, please contact us about your deposit. We keep an archive of recent recordings that can be downloaded below. Older recordings will also be published as they become avaliable.